8:38 PM Enjoying oven-fresh brownies while watching the Victorian classic Emma. Becky baked them for the Blacks but we've been snitching. 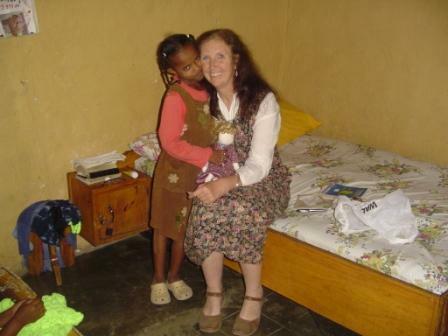 7:02 PM I've been going though pix of my trip to Ethiopia a year ago June. On my way to meet with the Patriarch of the Ethiopian Orthodox Church I had my shoes shined on the streets of Addis. This young man was named Mohammed. He eagerly listened as I told him the story about my own son Mohammed and what the Lord Jesus has done in his life. I wonder how Mohammed the shoe-shiner is doing and whether I will ever see him again. So many happy memories! 6:44 PM Only 3 days of meds left! 6:32 PM Becky cooked stir-fry for supper. Delicious! 1:05 PM Here's an excellent post called Short Term Mission Trips: Sanctified Vacations? 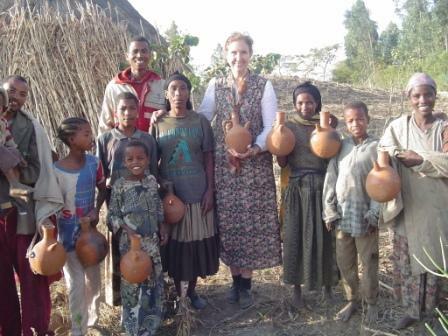 I will add one note: If you want to take a vacation, don't come to Ethiopia with Becky and me. We will work you to the bone. We also require 4 pre-trip orientation sessions to cover personal spiritual preparation, language, history, religion, missionary strategy (from Acts and Paul), inoculations, etc. 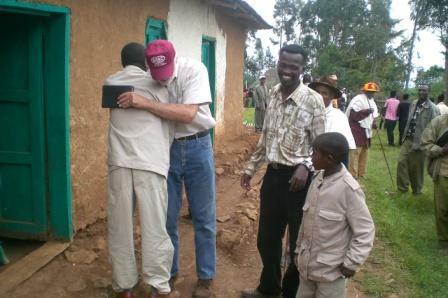 Finally, as I've stated so often, our goal is to connect local churches in the U.S. with local churches in Ethiopia, working under the leadership of the elders in both locations. There is NO denominational cost on either end. 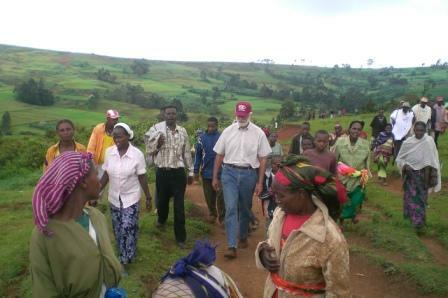 If you do come with us, it is likely you will come as a representative of a local church in the States that has already proven a commitment to Ethiopia in terms of prayer and giving, and you will be expected, as an "apostle" sent out from your local church, to give a full report upon your return in order to deepen the relationship. Below: An orientation meeting for our November 2008 team to Burji. They represented 4 different Baptist churches in the greater Roxboro, NC, area. Many of our team members required several inoculations. 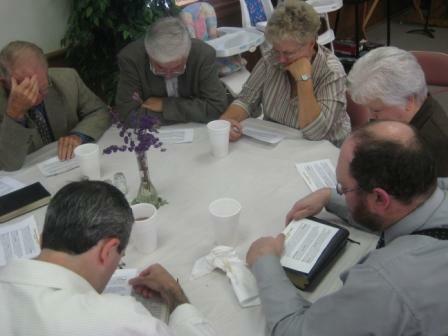 In addition to the orientations, numerous church-wide prayer meetings are held as part of our preparations. Here's the team, raring to get to Ethiopia. Our post-trip debriefing and celebration at Bradford Hall, Virginia. Meaningful and permanent relationships were established among team members. The call to respond to what God is doing in the world today is a call to insecurity. We leave behind all the certainties of life at home for a work that can only be described as a great adventure. We throw our lives utterly into the hands of God and participate in the sufferings of the world for the sake of the Gospel. As followers of Jesus, we can do no less. 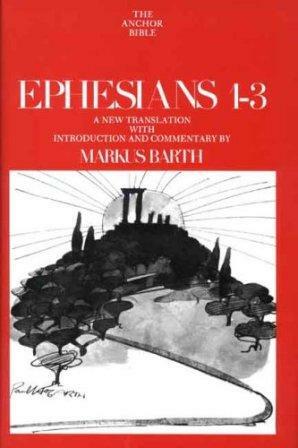 12:17 PM This is a little dated, but check out Scot McKnight's favorite commentaries on Ephesians. I agree completely that Markus Barth's 2-volume Anchor Bible set is the commentary of first choice. Barth was certainly one of my favorite lecturers in Basel. 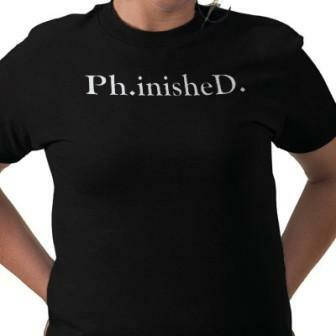 Have you really sought God's will before pursuing a PhD? Don't just listen to the church or denominational leaders, important that maybe. Do you have the peace and joy in going ahead? Have you weighed up all the factors, finances, family, time away from the ministry? Are you prepared to see through 3 to 5 years of intense study? Are you fully engaged and interested in your dissertation topic? If you are not fully interested in your study, then it is tell-tell sign that you will not have the tenacity and drive to see it through. 9:56 AM My devotions today brought me to 1 Corinthians chapter 3, where we find one of the most beautiful yet forgotten images of the church in Paul: "You are God's georgion" (3:9). The language Paul uses implies that the church is a field comprised of soil that can become fertile in every good thing. But good fields require incessant labor, and that labor must be done according to sound principles of agriculture. I consider my latest book to be, in a sense, a "field" manual for the church. The work of a Christian author must always be construction, not destruction. Yet at times destruction must in fact take place before construction can occur. Ingrained ideas and conceptions that are unbiblical must be dismantled, and a new foundation must be laid. Again, it is sometimes necessary to plough under a field completely before sowing it. I have personally seen the need for both destruction and plowing under here at Rosewood Farm. The aim, however, is always positive: to build (or plant) something new in its place. As a farmer I see the relevance of Paul's metaphor in 1 Cor. 3:9. The church is a field whose soil requires careful tending by skilled laborers. To produce a healthy crop there must be a cadre of men and women who have dedicated their lives, not to an institution or an organization, but to Christ, whose relationship to the church is as close as that of farmer and soil, and whose supreme glory is the knowledge that Christ is the Master Husbandman. 8:28 AM Where has the summer gone? Today I'm working on my syllabus for New Testament Theology. Can't wait to get back into the classroom. I love the farm but I miss my students. 7:25 AM The apostle Paul is often called Christianity's greatest theologian. I will be challenging this widely-held notion in my upcoming class on New Testament theology. Paul was not so much a Christologos as a Christophoros -- not one who talked about Christ but one who bore Him. This is not to deny that Paul was a great thinker or that his brilliance was not enhanced by his education. His epistles are of majestic breadth and force. The ruling impulse of his literary labors, however, was always soaked in great practical activity. He gave his heart and, eventually, his very life to the Gentile mission, and the history of his ministry shows how faithful he was to that calling. His marvelous memory, his keen logic, his original way of taking up every subject -- all these gifts were placed at the altar of humble service to the Gospel. Paul's is a life we can all imitate in this regard, especially those of us whom others might refer to as "scholars." It is one thing to talk about Christ. It's quite another thing to bear Him. This will never happen unless we make the search for His kingdom and His righteousness our top priority. Paul's letters were not theological treatises but practical documents. (This is true even of Romans.) They were written because of real exigencies in the churches. They are products of the heart as much as the mind. They were part and parcel of Paul's everyday work as a Gospeler. I see in his life a man striving to live worthily of the Gospel as a good citizen of heaven (Phil. 1:27). He is a model we can all follow unreservedly. 5:16 PM Congratulations to HBU on launching their new M.A. in Biblical Languages this fall. It looks like a very promising program indeed. 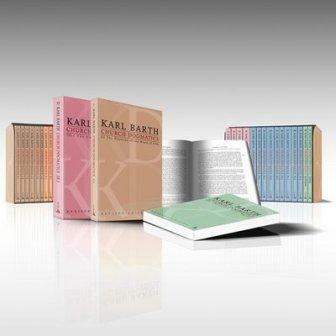 4:54 PM Here's a new book on Barth I need to get. 4:33 PM Just had a great nap. The old bod needed it. Still far from 100 percent but moving in the right direction. 1:10 PM It felt great to get out of the house today. I drove to South Boston to have lunch with Nate and Jess, who are there on a job site painting window trim on an old beauty. I bought a pizza and we sat around for a few minutes talking and loafing. I just love it how they do everything together as a family. I'm also grateful that Nate is working outdoors on a cloudy day! 10:15 AM During my convalescence Nate and Jess loaned me a book from their Civil War library. It's a biography of one of Robert E. Lee's sons called Gray Cavalier: The Life and Wars of General W. H. F. "Rooney" Lee (Da Capo, 2002). This scion of the South attended Harvard College in 1854-56. In describing Rooney's stay there, author Mary Bandy Daughtry observes that entrance exams at Harvard were all administered orally. Moreover, final exams were administered by a special committee set up for that purpose rather than by the faculty, and they were also given orally. My guess is that oral exams are a thing of the past at Harvard today. But why shouldn't they be resurrected? Last semester I gave a few Greek quizzes orally, and during my summer school Mark course I met personally with every student 3 times in my office. Oral exams at semester's end might be worth a try. Dr. Beck could examine my beginning Greek students, and I his. In seminary I remember taking only one oral. It was a placement exam for Greek and administered by the department chair. I was terrified by it. In Basel my orals came at the end of my doctoral program, and again I was scared to death. My fears probably developed from a knowledge that in an oral you can "run but not hide." What was the Latin name for a town enjoying the political privileges possessed by Tarsus? What are some of Paul's primary metaphors? On what occasions does Paul evoke his Roman citizenship? Names friends of Paul who were engaged in the same trade as he. List Paul's quotations from the Greek poets. 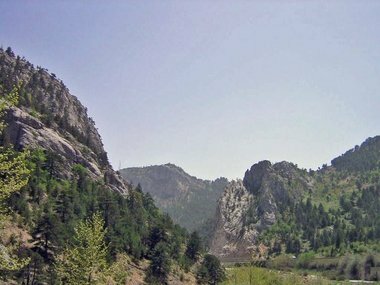 What are some of Paul's leading Old Testament quotations? What does Paul mean by "law"? Where is it said that Paul voted in the Sanhedrin? Explain the differences between the 3 accounts of Paul's conversion in Acts. By what other names were Christians called in New Testament times? Where in his writings does Paul mention Adam? List the visions in Paul's life and show how they came at the crisis moments of his ministry. List the Pauline epistles in their chronological order. Where are churches mentioned as meeting in the homes of individuals? Describe a Roman triumphal procession. Explain the name "Pastoral Epistles." I might give this a whack this semester! 7:59 AM Beautiful day today in southern Virginia. Thanking God for the rain He sent last night. 6:58 AM My reading in Acts has brought me to the end of Paul's first missionary journey in Asia Minor. In this passage (Acts 13-14) I was struck dumbfounded by something I had never observed before. Paul has preached in Pisidian Antioch, Iconium, Lystra, and Derbe, leaving behind a group of converts in each place -- a few Jews, perhaps a few more proselytes, and a number of Gentiles. Now, at the end of his ministry there, the way lay open for him to return to Syrian Antioch via the Cilician Gates (photo). Despite all these dangers, however, and without any thought for his personal safety or comport, Paul decided he would take the way he had come and revisit all the churches he had established in order to encourage the believers in the face of persecution. Note also something of greatest importance: Luke records that in every city Paul appointed "elders" to watch over and care for the small congregations in his absence (Acts 14:23). This mention of elders moves me deeply. Paul went to a great deal of trouble to see that "elders" -- not "pastors" -- were appointed in every church. That the term is in the plural is also of importance. Finally, note the absence of any mention of a "head" elder or a "senior" leader in any of these congregations. I grieve today when I see such self-conscious titles as "senior pastor" on letterheads or email signatures. In my book The Jesus Paradigm I address this matter in great detail and even dare to suggest that the title "senior pastor" would be an affront to our Lord Jesus in light of what Peter wrote about Him in 1 Pet. 5:1-4. I also suggest that anyone with the title "senior pastor" ought to consider -- if he feels he needs a title at all -- to use the term "servant pastor" instead. Better yet, why not simply return to the pattern of Acts 14? Why not call our spiritual leaders what Luke called them in Acts? The answer can be nothing less than a slavish adherence to church tradition and ritual. Can you imagine Paul, after arriving back in Syrian Antioch, worn with toil and suffering after his first missionary journey, receiving a letter from the "senior pastor" of the church at Lystra and not being heartbroken? If we're going to say that we follow the example and teachings of the apostle Paul, then let's be fair to him. I know many godly, good, exemplary pastors today who have yet to take this small step of radical obedience to their Master. Titles have no place in the kingdom of God. This is the clear teaching of Jesus and the example of the earliest churches in the New Testament. 7:15 PM My mouth is watering as I hear B. cooking Chinese food for supper. 7:04 PM Becky has just updated the Bethel Hill blog. You simply must check it out! 11:42 AM Eric Carpenter's latest post on Eph. 6:1 is a winner. It's another reminder of how our traditions get in the way of seeing something that otherwise should be obvious to us. 9:18 AM Kosuke Koyama once wrote a delightful little book called Three Mile an Hour God(Orbis, 1980). He notes that although a race horse can run 45 miles an hour, cars can travel comfortably at 50 miles an hour, and jets can fly 600 miles an hour at 35,000 feet, man walks at only 3 miles an hour. In missions, we often travel "too fast." Friendships and relationships are overlooked in our rush to complete our "ministries." This is one reason on our next trip to Ethiopia in December Becky and I will not be taking a team with us, nor will we be busily engaged in many different activities (as is normally the case). It's time to "walk" a bit -- to deepen relationships, spend hours just sitting around in people's homes, stroll through the villages and towns greeting others -- seeing, hearing, observing, being available. All at 3 miles an hour. I'm looking forward to it. 8:30 AM Alan Knox asks and answers the question, Why Work? Again, I must state my agreement with his perspective because it is a biblical one. Wealth and possessions are always subordinate goods in the New Testament, and neither their pursuit nor their acquisition can ever be considered a worthwhile goal for the believer. Our possessions are to be regarded merely as a trust to be used for the good of others. Otherwise they become our curse (Matt. 5:42; Mark 8:34-38; Luke 6:27-36; 10:25-37; 14:12-14; 16:19-31; Acts 4:32-35; Heb. 13:5-6). The problem is that it is very easy to speak about wealth in this manner only in the abstract. Many wealthy Christian Americans simply do not believe that wealth has seductive power. In the New Testament, relating to the poor involves relating to specific persons rather than an abstract class called "the poor." Simply stating platitudes such as "God loves the poor" or giving some money to charitable causes costs us almost nothing. To actually identify with the poor requires a different kind of commitment -- a costly commitment in terms of our time, agendas, and personal resources. Genuine repentance always has an economic dimension. This is rarely seen in our American megachurch mentality. Upward mobility is where it's at! After all, when's the last time you saw a pastor leave a congregation to take a smaller church with a lower salary? As Paul writes in 2 Cor. 2:17, there is money to be made in peddling the Word of God. In 1 Thess. 2:5 he states that piety often masks as a cover for greed. In 1 Tim. 6:3-5 he notes that many think that "godliness" can be lucrative. In 2 Pet. 2:1-3, Peter shows us how "Christian" teachers are motivated by greed to minister. Like Judas (John 12:1-8), we are not genuinely interested in the poor but are only using them for personal advantage. The solution to our problem is found in 1 Tim. 6:17-19: Believers who are rich are to be commanded not to be arrogant or to put their hope in wealth. Instead they are to do good, to be rich in good works, to be generous, and to be willing to share. This will require nothing less than a total conversion to Christ's view of possessions. May repentance begin in my heart! 1:17 PM Once again I find that Lionel Woods and I are interested in the same subjects. His latest post, Who's the Boss in Your Home?, will get you thinking! 1:06 PM Thought you might enjoy this pic of our latest farm additions. Nate bought these calves about a month ago when they were 3 days old. He's still bottle feeding them. They'll end up in our freezer one day. 12:10 PM Heard this recently: "Scarcity brings clarity." 10:34 AM God has a sense of humor. 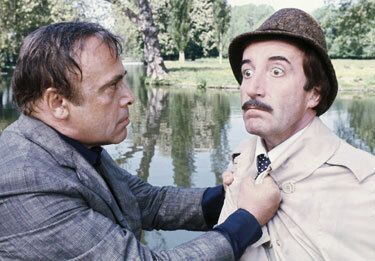 Just before I got ill Becky and I watched the old Pink Panther movie in which Dreyfus tells his shrink, "Every day and in every way I'm getting better." That's my usual response when people ask me how I'm feeling. Every day there is gradual improvement, but I have a ways to go. Thank you, fellow prayer warriors, for standing with me! 9:44 AM Pray for Becky. She's off to Raleigh to learn how to operate the clinic's new ultrasound machine. 7:32 PM Praise where praise is due. Over at Jevlir Caravansary we are treated to this powerful piece of fiction by Henry Neufeld about choosing a new pastor. It's a message I hope all of us will take seriously. 6:55 PM Thank you Jesus for liver and onions! 12:21 PM Guess what? Today I get to take a ride in an automobile again, and it won't involve a trip to the hospital either. Becky and I need to run some errands in the big city of South Boston today, which we will do as soon as she has processed these beauties. God is so good to us! 11:20 AM In my morning devotions, I read in Acts the story of Paul's final years, from Miletus to Rome. It struck me again how God had fitted Paul to preach alike in the Greek agora and in the Jewish synagogue. When he is arrested in Jerusalem, we find the Romans incredulous that he knows Greek and the Jews incredulous that he knows Hebrew. The advantages he had of being a Roman citizen are also on prominent display in Luke's account. Above all, I get the sense that Paul coveted the privilege of preaching the Gospel where it had never been proclaimed. Strangely, the fire of God is moving in my own heart in a similar way. 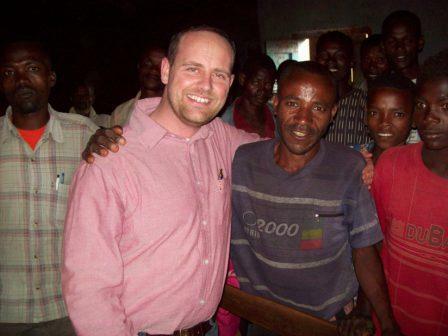 Please pray with and for me that, if the Lord wills, I might be able to return someday to the Guji tribe of Ethiopia, where last December Jason Evans and I had the privilege of preaching in the market places and teaching the saints. This is a constant pull on my heart-strings. It fills me with amazement that there are so few churches and believers among the Gujis, and that even the believers that exist do not have Bibles. Will Jesus allow me to return? It is in His hands! There are few better ways to draw a crowd than by drawing their portraits. Once they see themselves on paper, they are hooked. It is here that we invited them to return to the marketplace for preaching and, at night, the showing of the Jesus Film. In every village, we distributed seeds to the kebele leaders. Gujiland is extremely impoverished; the people subsist on parched corn and cow milk. No injera or wats as in other parts of Ethiopia. The farmers are always appreciative of our gifts. Preaching in an open air setting comes naturally to me. My messages are always based on one passage from the Bible and are full of illustrations from daily life. We slept wherever we could, usually in a church meeting hall. 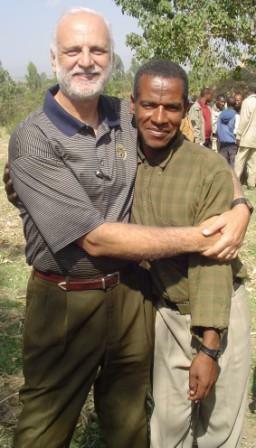 Ethiopians can walk for miles and not feel it; not so with us faranjis. So you can imagine what a foot washing felt like at night. Can you tell that I'm ticklish? These are my heroes -- the foot washing brigade of one of the local congregations. It was a memorable time among the Gujis for me, radiant with brotherly love and alive with the out-breaking of spiritual power. As we wended our way back to Burjiland through the armed throngs of Gujis intent on attacking their enemies, I was conscious of having experienced what few eyes have seen nor ears heard. 10:35 AM Almost forgot: Chaplain Solomon reports that 15 people have repented and turned to Jesus in the last month at the clinic! Solomon is a superbly gifted evangelist and a man of humble and gracious character. Above all, he loves people sincerely. He has taken up his responsibilities at the clinic with startling boldness. The heart of Christ beats in his bosom toward his converts. He is yet another example of the kind of people Becky and I are privileged to work with in Ethiopia, people who are able to say, "I live, yet not I, but Christ lives in me." What a blessing from the Lord! Please pray for those who flock to the clinic for physical healing that they may drink of the Living Water and go away changed forever. 10:23 AM Health update: My nervous system is finally get back to normal, and I was able to get some sleep last night. Also, my voice is returning! Praise God, and thanks for your prayers. 10:19 AM Just enjoyed my first yellow mater sandwich of the summer, courtesy of the Rondeau farm. 10:15 AM Amazon has just discounted The Jesus Paradigm. 10:03 AM Interested in possibly helping the Galana Clinic? Here are some suggestions from Becky. Our next trip is scheduled for December, and we would be happy to pack our suitcases with these needs. 9:25 AM Nate and Jess (and Nolie Polie) are off to Greensboro today to get the last of our treated flooring for the front porches. That's one of two projects that need a-doin' when Papa B gets to feelin' better. The other is finishing the backyard fence. This will be the second time that Nate and I have built the front porches. But that's okay. Nathan is one of the reasons the Lord created wood. 9:05 AM I smiled when I read Alan Knox's latest remix. Growing up in Hawaii, I recall that the Second Coming of Christ was perhaps the most talked-about doctrine in the Christian faith in our evangelical churches. We had our annual prophecy conferences last lasted a whole week, and Hal Lindsey (or someone from Dallas Seminary) would often be the keynote speaker. 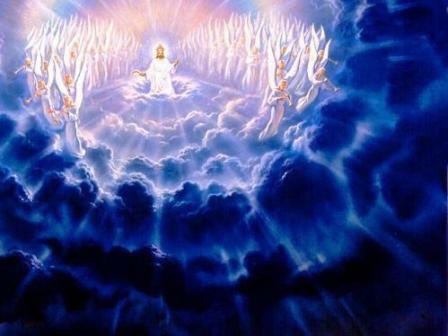 Certainly the Second Coming is an essential doctrine in Christianity; as C. H. Dodd famously pointed out, it is one of the basic elements of the New Testament kerugma. I think the doctrine meant a great deal to brother Paul. He clearly taught the imminence of the Second Coming. But more importantly, he believed the Second Coming played a key role on how the Christian is to live. We are to arrange and order our lives on the assumption that "the time is short" (1 Cor. 7:29) -- a verse that plays a major role in my own concept of stewardship, including the stewardship of my marriage. The early church had a magnificent saying that we have totally forgotten today: "Maranatha" -- Come, Lord! It's as if they were telling us today, "Whatever else you do, live your life in the realization that the Lord can return at any moment." Today I have little interest in attending prophecy conferences, but I do long for the coming of the Lord Jesus, for when Christ appears, we too will appear in glory (Col. 3:4). True, I am forbidden to speculate about its date and time (the point of Alan's post). But one thing is certain: the doctrine of the Second Coming guarantees that there is an event to which all of history is moving; that history is going somewhere; and that one day I will stand before my Savior and see Him face to face. Have you ever seen such deep blue eyes? 6:23 PM Becky had a great talk with Oshe in Burji this afternoon. Guess what he was down with all last week? Malaria! He is doing much better, praise God. 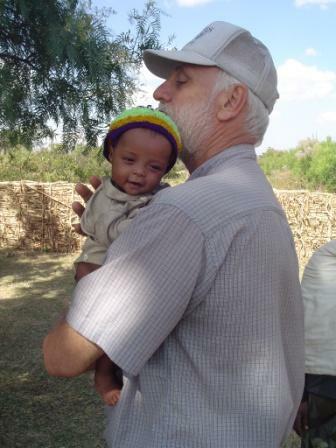 Oshe is the point man for our work in the Burji district of Ethiopia. He was SO excited to hear about the ultrasound machine. Oshe is a faithful, Christ-like "lay man" who works for the clinic and the churches "above and beyond" his normal vocation. What an example of a servant of the Lord! Oshe, we love you! $13,000!...but God just up & gives us one! He is SO good to us! Becky will probably get emails from people telling her she has broken all the rules of good writing by using 13 exclamation points in a single paragraph. Phooey! I think the Lord deserves a huge praise for what He is doing for the people of Burji!!!!!!!!!!!!!!!!!! 10:12 AM Just a few thoughts this morning. Becky has gone off to Bethel Hill. I will sorely miss seeing everyone, but I feel I need to take my time convalescing. My voice is but a thin rasp, and I look like a scarecrow (scary enough to chase off all the little kids at church for sure!). I lost almost 25 pounds in 8 days of illness, and things could have been much worse. In the meantime I have been reading a book that I thought you would like -- if you can find a copy of it. 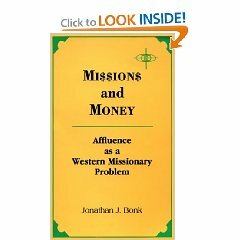 It's called Mi$$ion$ and Money: Affluence as a Western Missionary Problem. 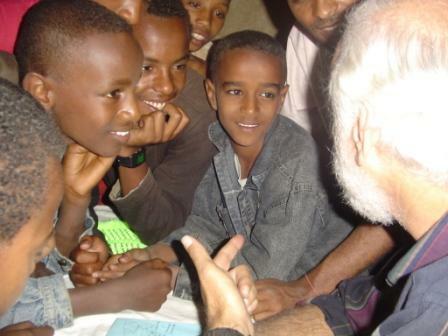 The author is a Mennonite scholar named Jonathan Bonk who, of all things, grew up in Ethiopia. The book is both exquisite and irritating at the same time -- like a good book should be. Jesus provoked controversy wherever He went, and we should not be afraid to do so ourselves. Much of what I am reading in Mi$$ion$ and Money meshes well with what I read in the Scriptures. For example, in my Bible reading just this morning I was struck again with the simplicity of the "Great Commission" passage in John's Gospel. "As the Father sent me, so I am sending you," Jesus told His followers (John 20:21). Jesus' ministry lacked the speed, the efficiency, the mobility, the "success" of all our current missionary strategies. His mission unfolded in weakness, obscurity, and poverty. Our strategies are becoming all about abstract "programs" and "people groups"
The book includes this unforgettable quote from M. Gandhi: "I have told my missionary friends, 'Noble as you are, you have isolated yourselves from the people you want to serve.'" There is much to think about in this book. Jesus' method of foreign missions is vastly different from ours. I would hope and pray that we could get back to radical, people-loving, relational, sacrificial, and costly missions. No, you do not need to drive the latest model Land Cruiser. (I see this everywhere I go in Ethiopia.) In fact, you do not even have to own a vehicle. You can always use public transportation or just walk. Eat what the people eat. Live where the people live. Develop relationships that are not necessarily related to your "work" as a missionary. Fund your own ministry if you can. This means that money that would go to pay for your airfare can now be spent on the needy. Work as much as possible from local church to local church. 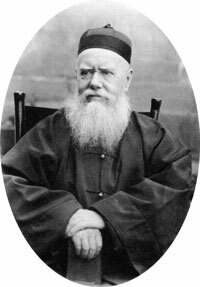 Let's be like Hudson Taylor (photo) and James Gilmour of the nineteenth century, who were regarded with suspicion by their peers because they refused to insist on Western standards of living. In the New Testament, men like Barnabas, Timothy, Luke, and Paul have shown us that there is an alternative to our blatantly materialist way of living. My main takeaway from this book is my need again and again to return to the Jesus paradigm in my work as a missionary. How really difficult to do! -- especially in a day when anthropologists, theologians, educators, historians, missiologists, and even marketing consultants are deemed indispensable for missions. The thousands of books, journals, articles, symposiums, conferences, seminars, and consultations all devoted to our "missionary strategies" reflect our deep-seated human tendency to supplant the simple wisdom of the Bible with our own insights, which, of course, we deem the indispensable key to more effective missions. Bonk's work is a reminder that the only missionary model that is truly biblical is the Jesus model of incarnational missions. "As the Father sent me, so I am sending you." How's that for a "few thoughts"? Blame it on my meds! 4:48 PM I walked to the mail box and back today. Thank God for little blessings! I have received many beautiful expressions of love in the mail. They bring tears to my eyes. How wonderful is the family of God! 4:35 PM Ten days and counting till I finish my malaria meds! 4:22 PM Got to see Nate, Jess, and Mr. Nolan today. What a blessing they are to me! 8:54 AM Good morning! Having a few stomach issues with my meds, but rejoicing that we HAVE meds in the U.S. to have issues with! God has been so good to me. I am a singularly blessed man. If you need more proof, check out these new pix of the most beautiful grandbaby in the world. I appreciate each and every email I've received in the past week. I will respond to them as the Lord gives me strength. You are all very special to me. Speaking of babies, I see my newest was released while I was in Chapel Hill. All praise to God! May He use it for His glory alone and the expansion of His rule on earth. 6:43 PM Update: Slept for 6 hours straight. Becky just served me a great supper of creamed chicken over rice (though I really miss the hospital food -- just kidding!). Becky just went to the store to fill another malaria med. I couldn't do this without her, folks. 11:38 AM It's true. I'm HOME. I just received 5 days of expert medical care at UNC, surrounded by a gifted team of infectious disease specialists. And there were plenty of them too. UNC is a world-class teaching hospital, and it seemed that doctors were crawling out of the woodwork for a chance to poke and prod their very first malaria patient. The poor, suffering patient, for his part, was very glad indeed to be under the care of such excellent pokers and prodders. So how do I feel? Not too bad, considering I was just run over by a truck. What are my takeaways? Well, first just let me say that I not out of the woods yet, so I hope you won't stop praying for me. My goal is bed rest for the next several days and then gradually assume my "normal" routine (whatever that is, LOL!). 1) I will never be able to read a verse like Mark 1:30 again through the same eyes: "Simon's mother-in-law was in bed with a fever." The worst symptoms of malaria (at least the kind I had) were the fevers and the terrible headaches. I can just see this poor woman writhing in extreme agony on her sweat-soaked mattress as Jesus walks into the room. Then too, when I read verse 31, "And the fever went away," I believe I can actually feel that moment -- the utter, euphoric, unspeakable, long-hoped-and-prayed-for RELIEF. 2) I will never be able to look at Alaba the same. Alaba is rife -- and I mean rife -- with diseases like malaria, typhoid, and typhus. One in every three persons is infected with some form of malaria at any given time. I can't tell you how awful it is to watch such suffering, on such a scale of magnitude, day in, day out, year in, year out (we've been going to Alaba for about 6 years now). Death from malaria is so commonplace it's hardly even noticed. The most innocent and vunerable of all are the children. But one thing is sure: From now on, there is no one suffering from malaria in Alaba in whose eyes I cannot look and honestly say, "I know what you're feeling. I understand your pain. I'm one with you in your suffering." Now I'm not saying that you have to experience malaria yourself in order to minister to malaria patients. As far as we know, Jesus never had malaria, but no man had deeper sympathy or empathy for those who so suffered. Which leads me to my third point. 3) It's all about empathy. The famous words of 2 Corinthians remind us: "God comforts us whenever we suffer. This is why whenever other people suffer, we are able to comfort them by using the same comfort we have received from God." You see, the main reason I go to Alaba as a missionary is to show the Muslims there that it is more courageous to love your enemies than kill them. I should know, since once I was God's enemy until He forgave me. When Americans go to Alaba for no other purpose than to serve, people begin scratching their heads and saying, "Maybe there's something more to this Christianity stuff than meets the eye." The fact is, all we are doing is passing on the comfort, the acceptance, the forgiveness, the compassion we have received from the hands of God. Well, time to get back to bed. But I do want to take a moment and thank my family, my church family, my seminary family, and my internet family for your prayers. Thanks also to Chris and Jon who "broke the rules" and visited me in my hospital room, even though I barely knew who they were. In a safe world, no one would get malaria. But I believe in a Jesus who calls the overchurched to find life by losing it, with the promise that everyone who finishes the race will be given a crown. In an age marked by hatred and murder, may we stand up for the lost and the oppressed, telling them, "God loves you, I love you, and we are right here with you. No price is too high to show you Jesus." 2:10 PM Spent last night at the UNC Hospital Emergency Room. Symptoms range from severe headache to fever to chills. Doctors have put me on bed rest for the next 4-8 days. Right now they're treating me for a tick borne disease, but that may change. Whatever I've got, it's mean. Needless to say I'm having to cancel all appointments for the foreseeable future, including Monday night's Greek class at The Hill. 11:51 AM The latest addition to our home page is called Team Work at the Burji Clinic. 11:25 AM I'm glad to link to yet another provocative essay by Justin Raimondo: Obama's War Signals. He speaks, of course, very frankly and emphatically, for it is imperative that there should be no room for misunderstanding. My question is: Will the few dozen people who decide the world's immediate future pay any attention? 11:12 AM I've been teaching for some 33 years now. Still hard to believe. I'm finding that only when I am like Jesus can I be an effective teacher. He was gentle yet forceful when necessary. He could be tough or tender. His life perfectly blended grace and grit. He must have been an arresting communicator. The people of Nazareth were amazed at the graciousness of His speech (Luke 4:22). At all times He spoke with great authority (Matt. 7:29). He was a man of solid convictions. He spoke from personal knowledge (I can't see Him using crib notes) in stark contrast to the teachers of His day. Although He had no formal rabbinical training, He showed no timidity or hesitation as to what He had to say. Simple, charming, direct, authoritative -- how attractive His teaching must have been! He's my model of a great teacher. But here's a question. What did He teach? That is, what was the substance of His teaching? The answer can only be the kingdom of God -- men and women ruled over by God and thereby finding the real meaning of life. He came to bring God to us and us to God. Christianity is in its final and ultimate analysis the acceptance of God's rule in our lives. I'm trying to say that teachers have both a model and a method in Jesus. This was perhaps the most difficult thing for me to learn in my career as a professor. For many years most of my teaching was a pale shadow of the radical kingdom announced by Jesus. By the grace of God, I'm determined to change that. I'd appreciate your prayers -- I'm not naive. I recognize this is spiritual warfare. I encourage all of us teachers to follow Jesus' example in all that we do and say. 4:42 PM I love farming. All of us do here at Rosewood Farm. I'm using "love" in the "agape" sense. Frequently we become too high-minded about "agape." When Caleb or Isaac or Micah says to me, "Papa B, I love pizza," I think they're getting closer to the meaning of love than many theologians ever get. In essence, love is essentially enjoyment. It celebrates the object of love. In Greek, "agape" could have a "profane" side as well as a "secular" side. If there is a distinction, it usually involves suffering. We are willing to be inconvenienced for the sake of the one we love. This means that love will often introduce suffering. Farming is difficult work. It is usually dirty work. It is always tiring work. So is missions. But nothing can compare to the sheer joy of looking at a barn you've built with your own hands -- or watching another human being become the recipient of the love and forgiveness of Christ. No one can be serious about love if he or she holds to a sacred-secular dichotomy. 7:36 AM Again, I'm having major problems with my home computer. Right now we can't access our email. We are working on it, but if you don't hear from us today or tomorrow you'll know why. 6:54 PM Right now B's cooking fresh corn and green beans for supper. Yummy! 6:48 PM Just had a great cardiovascular workout. Shoveled skubala on the ripple field. Earlier Nate and I got some of the fencing up. Looks pretty good so far -- i.e., looks old and tired, just the way we like it! This will give the doggies more room to romp. 3:42 PM Home computer running poorly. May be a virus. Troubleshooting.... Emailers, please be patient. 1:12 PM How's your summer garden? Ours is going gangbusters and keeping Becky busy. What a joy! 11:40 AM You can follow Ron Paul on Twitter. I enjoy Ron. He is one of those vintages that improves with age. He belongs to that curious species of American Eccentrics -- and there is no place for an eccentric in a system of Fabian Socialism. I am a bit uncertain about his aspirations for 2012; time will tell. So far as I can judge, having a constitutionalist in the presidential debates would be healthy for the country and keep things interesting. Either way, politics is an ugly business and offers no final solution, since the basic problem lies in a completely different direction. 11:31 AM Mark Goodacre offers an interesting evaluation of a new volume on the synoptic problem. The subject is one that has interested me for several years, and I have written about it in a little book. En tout cas c’est un problème très dur à résoudre. 7:06 AM Beautiful but hot today. Working on a new backyard fence. Praying for rain. Rain or no rain, God is good! 6:56 AM Bryan Barley continues his series on Doctrinal Devotion. I do hope, however, that people will begin to think seriously about the people who they recognize or appoint as elders. Do we really know them? Can we recognize how God is already using them? Do we know if they are hospitable or good fathers? Do we know how they react to conflict? Do we know whether or not they are servants? 6:32 AM The latest addition to our home page is called Would Jesus Have Written a Book? 9:55 PM Just back from Greek class. They did a great job on their exam. No 110's tonight, but there's always next time! 1:50 PM Becky's taking her Greek exam. I'm praying! At the Energion Publications book detail page. And at The Jesus Paradigm web site. For a view of the awesome cover designed by Energion, click here. When you can assume that your audience holds beliefs the same you do, you can relax a little and use some more normal means of talking to it; when you have to assume that it does not then you have to make your vision apparent by shock – to the hard of hearing you shout, and for the almost-blind, you draw large and startling figures. At any rate, I hope you enjoy and profit from reading the book. I humbly confess my inadequacies and failures both in understanding and in following the downward path of Jesus, knowing full well that I fall short both in proclaiming and demonstrating his scandalous love. But I'm not going to give up! Meanwhile my prayer is that you are spending time getting to know Jesus as well as making Him known – relationally and relentlessly. The Jesus Paradigm is a personal and passionate appeal for real discipleship, just the kind of plea that Christians need to hear. This is also a plea for the church to be what it was called to be, something far different from most of what we see. People may disagree with parts of the book, but they cannot legitimately ignore its challenge. Here is a book that calls for nothing less than the complete dismantling of business-as-usual in the twenty-first century church in favor of a radical model based entirely on Scripture and rediscovered by the sixteenth century Anabaptists. Black writes an immensely practical book that will rearrange the furniture in your mind and, if heeded, will resurrect biblical Christianity. Some who read this book will think Dave Black has gone too far; some will think he has not gone far enough. But as he himself says about one of his own sources, "One does not have to agree with everything in the book to appreciate it." Few readers will appreciate all aspects of Black's argument, but it is high time we all heard and heeded its radical, sobering, and exciting call to the Church of Jesus Christ simply to obey her Master! "Brother David" delivers a punch in the gut of cultural Christianity, whether on the right or the left. He pokes and prods the church to be a "radical, Christ-centered, martyr movement." This reincarnation of a sixteenth century Anabaptist is guaranteed to stir you up, regardless your church niche. If you are confused or irritated by the current culture wars, let this seasoned and salty Jesus follower draw you to the center he has found. Many have deep questions about American Churchianity and even Evangelicalism, but are not sure if it's okay to ask. A respected scholar with a missionary heart, Dave invites you along his journey. What a few of my generation were whispering, a flood of younger American Christians are shouting. Weary of fighting with fellow believers over secondary or tertiary doctrine, they are seeking a community of radical disciples. Arguing Jesus gave us a paradigm (Jn. 13:15), Dave passionately suggests "The American church has forgotten this servant role of Christianity." Black offers us more than the pseudo-radicalism of many popular Christian speakers who condemn the materialism of the church while modeling a careerism as secular as their leadership principles. Dave calls us back to the Jesus paradigm. In this compelling book, David Alan Black has done two things at once: he has reminded Baptists of their heritage and provoked Christians to reclaim the gospel as a way of life. These are powerful words because he speaks from his own experience. Written in an engaging style and with great humility, Black has done the Church at large and Baptists in particular a great service: if we heed his words we will recover the way of Christ as the only way to live. In The Jesus Paradigm, Dr. Black articulates the growing concern from both laity and academia that Christianity, particularly in North America, is no longer recognizable as that defined in the New Testament. His critique of various Christian practices, to be sure, is painful to hear yet necessary and calls for a long overdue self-calibration. His invitation to relinquish power and ambition for power is an incisive critique of the Church's misunderstanding of both the cross and discipleship. The Jesus Paradigm is a refreshing contribution and worthwhile for any claiming the name of Christ. 7:48 AM Today: Final edit of The Jesus Paradigm. I'm eager to see what happens from here. 7:22 AM One of the themes of our talk at Amelia Baptist Church yesterday was the need for unity among those who work at the Galana clinic. The external opposition that exists there does not concern us as much as the potential for internal division. This is always the gravest danger in any work for God. Thus far the Lord Jesus has preserved the clinic staff from envy and rivalry, but we are praying earnestly that He would continue to guard the hearts of each and every one who labors there so faithfully. Thucydides, the famous Greek historian, noted that Greek democracy's final collapse came "ten years after faction had already broken out." 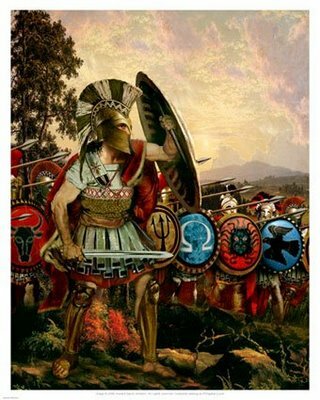 Of Athen's defeat at the hands of Sparta, he wrote, "Nor did they give in until they destroyed themselves by falling upon one another because of private quarrels." The collapse of Greek democracy, therefore, can be traced back to the problem of internal division. The book of Philippians snapshots this problem for the church of all ages. There can be no effective Christian witness for Christ without unity, and unity is utterly impossible without humility. This is why I have little patience for those today who make their mark defending some "tenet" of the faith (age-integration, elder-led congregationalism, Calvinism, etc.). Even if they get their theology right, they get their theopraxy wrong. My own convictions are very strong in many of these areas; I've seen the need for biblical stands as I go through this life. The problem is that enough truth resides in most any position one can take in evangelicalism for every side to rationalize their superiority. An inner disquiet tells me that this is wrong-headed in the first degree. I once wrote a piece for JETS called "Paul and Christian Unity," it being a study of Phil. 2:1-4. -- perhaps the clearest definition of Christian unity we have in Paul. Paul offers us an ideal option -- Christ-centered, practical, yet impossible to realize in our own strength. I once read, "The church is the only institution in the world that carries within itself the seeds of its own reformation." But is not the opposite also true? "The church is the only institution in the world that carries within itself the seeds of its own destruction." My prayer for the personnel at the Galana clinic is that they would stand firm in unity -- "thinking the same thing, having the same love, being co-souled, thinking the one thing" (Phil. 2:2). We here in the States have the solemn obligation to plead before the Lord on their behalf that He will bring this to pass. 8:40 PM We've been enjoying Bulgogi and Kimchi all weekend. Gifts from a Korean student of mine. You don't realize what a treat that is for me. When I lived in California I used to travel to Korea to teach. Made 6 trips in all. 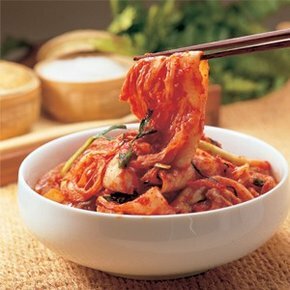 To me, Korean food is the healthiest and best-tasting food in the world. I had it all the time growing up in Hawaii. Here on the east coast it's ever so rare for me to have a chance to eat any. So thank you, Mr. Park, for making my weekend so special! 7:26 PM Been a long day. On the road for 10 hours. What to do for a change of pace? Becky's picking veggies in the garden. I'm gonna lift some weights then spend some time in my Greek New Testament. 7:20 PM The Bethel Hill challenge is still on. Who will win the next 110 Award in Greek class? We'll find out tomorrow night at 7:00 pm. 7:12 PM Overheard at Amelia Baptist Church: "Your prayer card is on our fridge, right next to Franklin Graham's. We pray for both of you every day." Thank God for prayer warriors! Let's be honest. It's crunch time for the church in America. 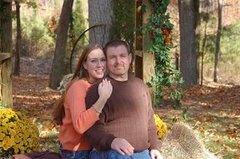 What can a couple of hillbilly micro-evangelists do to reach the world for Jesus? Not much, but we'll sure do what we can! This morning your Ethiopia missionaries left the house at 8:00 am in order to reach Amelia Court House in time for their 11:00 service. We had the great privilege of sharing with this sweetastik congregation what Jesus is up to in Alaba and Burji. God has opened a door in Africa so wide that we'd be crazy (and disobedient) if we didn't walk through it. And the door is wide enough for a whole bunch of Jesus-followers to come along with us. In fact, I believe that God is raising up an army of on-fire disciples in America who will set the pace for missions and transform their culture for Jesus. I'm convinced that Amelia Baptist Church is part of this great army. One highlight: The children raised $300 for Ethiopia during VBS and presented the check to us during the service. Sweet! Imagine with me these children growing up and reaching teenagers all across Central Virginia for King Jesus! So there you have it. Let's pray for our brothers and sisters at ABC as they are used of God to touch their community and their world in a big way for Jesus for the glory of God! 6:11 AM Did you know? 6:03 AM Becky and I will be doing an Ethiopia presentation this morning at Amelia Baptist Church in Amelia Court House, near Richmond. Praise God for local churches that think globally! 7:05 PM Just got a fine sprinkle of rain. We need much more but, hey, I'm grateful for every single drop. Right now I'm off to church to pick up 5 overnight guests who are passing through the State. 4:54 PM Here's a thought-provoking post by John Aurora called Paul's Letter to the Roman-Americans. And here's one from the same pen for all of you new fathers: On Being a Dad. Good stuff, John! 4:22 PM I'm thinking about jump-starting my German club at the seminary this fall. Well, it's not actually a club but a weekly luncheon in my office that anyone who is studying German is welcome to attend. I did this a couple of years with great success. Our Ph.D. students especially seek help with pronunciation, grammar, etc. It seems the sole benefit conferred by High School foreign language study is that one recognizes how inept one is. People with 3 years of High School Spanish can't speak a word of the language 2 years later. The best way to remedy the situation is to associate with people who are wonderfully fluent and at home in the language. German really appeals to me (I must have some Teutonic blood), and if I can help others to master this indispensable language I am eager to do so. Personally, I don't see how you can learn to read a foreign language if you are never taught how to pronounce it correctly. In 1978, as I prepared to begin my own doctoral studies in German-speaking Basel, I began to meet weekly for conversation with a wonderful German pastor named Paul Mittmann in California. He had emigrated to the States after the war, having served in the Wehrmacht in Russia, Italy, and France. At the end of the war he was briefly held by the Allies before packing up and moving to Anaheim, along with many other Prussians. I recall that he spoke the most pristine High German, and before long he had me doing the Scripture readings on Sunday mornings at his little Lutheran Brethren Church in Anaheim. Before I left for Basel in 1980 I had preached several times in that church, in German. I could never have done that without the help of my German tutor, Paul Mittmann. Since then I have read many books that I think you would like -- if you could read them in the original German. So, if you're interested in meeting for German practice, fire me an email. If I can get 5 people who are COMMITTED, I'll do it. In the meantime, here's a site you'll want to check out. 3:45 PM A belated happy third birthday to you, Mr. Micah. Sorry we had to miss all the celebrations. Papa B loves you not just oodles, but oodles and oodles and oodles of oodles! In case you have nothing better to do today, walk outside and take in the beauty of creation. It'll do you a world of good. 10:14 AM For what it's worth, I'm a huge fan of the serial comma (aka the Oxford comma or the Harvard comma). When it's not used (as in the subtitle to the book pictured below) I always have to pause and think, "Is this a list of two or three?" (Perhaps the most famous example of such confusion is the apocryphal book dedication: "To my parents, Ayn Rand and God.") IVP (the publisher of said book) has a strict policy for its writers: no serial commas! I beg to differ. Let each author decide. It ought to be a matter of personal style. A quick story. When I taught at a certain seminary in California years ago, all of the beginning sections of Greek were required to use the same textbook. For years I opposed this policy. Teachers ought to be able to choose their own textbooks, I argued, but to no avail. Until, that is, the year I left to come to North Carolina (1998). That year freedom was finally granted to each teacher to choose his or her own grammar. The textbook that had been required? 9:54 AM Becky raised a very good question this morning. It stemmed from a discussion about the use of secretaries in the writings of Paul's letters. 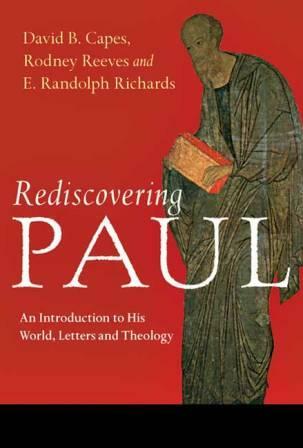 This morning I had been reading a fascinating overview of the topic in an excellent book called Rediscovering Paul, by David Capes, Rodney Reeves, and Randolph Richards. In the chapter on "Paul, the Letter Writer," the authors discuss the general practice of using secretaries in Paul's day. That Paul himself used secretaries is beyond dispute: he refers to one by name in Rom. 16:22, and in 1 Corinthians, Galatians, Colossians, 2 Thessalonians, and Philemon he emphasizes that he himself picked up the pen at the end of the letter. The question Becky and I were discussing concerned the cost of producing Paul's letters. The authors note that secretaries in that day charged by the line. They estimate that in today's dollars 1 Corinthians would have cost around $2,100 to prepare, Galatians around $700, and 1 Thessalonians around $500. Even a small letter like Philemon would have cost about $100. 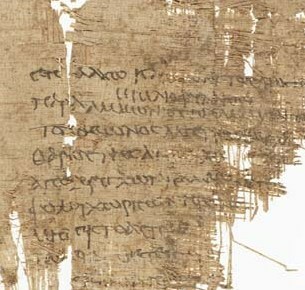 Thus there would have been quite a bit of expense involved in copying Paul's letters, since typically they were much longer than the average letter (one sheet of papyrus, as in the photo below). Little wonder Paul's enemies claimed that his letters were "weighty" (2 Cor. 10:10)! Becky then asked me a question. Assuming that all of Paul's secretaries were believers in Jesus, did they charge for their work or perform it for free (pro bono)? Great question! Perhaps we have a clue to the answer in Rom. 16:22, where we read, "I, Tertius, who wrote this letter, send you my greetings in the Lord." Actually, when you look at the Greek (it usually helps to do that), you will find that the little prepositional phrase "in the Lord" stands much closer to the words "who wrote this letter" than to "send you my greetings." If, then, we take the prepositional phrase with "who wrote this letter," do we have here perhaps a subtle suggestion that Tertius (whose name means "Third") performed his writing duties "in the Lord," that is, free of charge? There is no way of knowing for certain, but I'd like to think so. Think of doctor Luke. He had a job, a profession, and he undoubtedly practiced it when not traveling with Paul. But when he did accompany the great apostle I can't see him charging Paul for his medical services! I have a suite-mate on campus who teaches counseling. His office is always filled with counselees. He spends hours upon hours every week helping people. And his charge? Not a penny. He is an example to me of that same selfless attitude that the Savior exhibited when He left behind all the praise of all the angels from all of eternity to come to this earth to die on a stinking, filthy, bloody Roman cross. Did Mr. Third do the same? I can't wait to meet him in glory and ask him. 8:10 AM A word to my students. I've really enjoyed having you in our Mark class these past two weeks. You've worked fantastically hard, and it showed. Thank you! As we part company (at least for now), remember that the essence of Christianity is sacrifice. The Gospel of Mark can remain present in your lives in the form of cross-bearing and unselfishness. You are good students. But I want you to be even better disciples. Remember what our definition of "disciple" is: a servant-in-training whose lifestyle and obedience are in accord with what God is doing and wanting to do in this world. The opportunities are unmatched today to win the world for King Jesus. We live in a world that needs us to live as though we really meant it when we said, "I will follow Jesus." Your seminary has a tremendous global vision. Be a part of it. Look out for the needs of the world. Begin by investing in your own local community (see Adam Darnell's essay below). Take advantage of every short-term missionary opportunity you have -- not as some sort of affluent voyeurism ("Look at all those poor people!") but by living alongside your brothers and sisters in difficult places. Incarnate Christ's love. Use all your resources as good stewards of the kingdom. As servants of Jesus, respond to the needs of the poor and disenfranchised in our world. Above all, help change the world through prayer. "Satan laughs at our toiling, mocks our wisdom, but trembles when we pray." 7:59 AM I was expecting a much larger comment stream on Alan Knox's Ruling Or Leading? For example, what think ye of Heb. 13:17? That's a key text for sure. By the way, there are many books on leadership today, but I can't find one more worthwhile than the Gospel of Mark. From the beginning, Jesus asserted His leadership as a Servant of others. In fact, the unifying thread that binds the Gospel of Mark together is servanthood. 7:55 AM Adam Darnell is cheered by Bojangles. 7:53 AM Jon Glass was caught signing on the dotted line. I know, I know. I've been talking a lot about discipleship, but it's what my mind is firmly affixed to these days. (My therapist tells me I may never recover....) I took the past couple of days to read a book that was mentioned in the comments section of Geoffrey Lentz's review of The Jesus Paradigm. 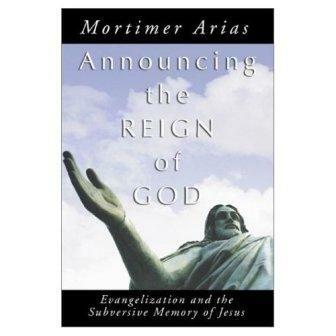 I had never had the opportunity to read Mortimer Arias'sAnnouncing the Reign of God before. 2) This kingdom-of-God emphasis has practically disappeared from evangelical preaching. It's been replaced by an emphasis upon individualized salvation and identification with the organization of the church. The kingdom of God as the focal point of the Christian life has virtually been absent. 5) Because Jesus' evangelization was kingdom evangelization, so was His disciples'. Their message was, "The kingdom of God has come upon you" (Luke 10:9). To proclaim the kingdom of God was to call people to follow Jesus without looking back. Therefore, just as Jesus taught, preached, and healed, so His disciples in the church are to do the same. I make many of these same points in The Jesus Paradigm. Jesus invented discipleship. He modeled discipleship. He taught discipleship. And He commanded discipleship -- notdecision-making! And His command was a command to be engaged in kingdomevangelization. The kingdom of God is a multidimensional reign that has to do with the totality of life. It involves much more than a belief system. It means following Christ on the way of the kingdom, and this way is a downward path involving not only verbal proclamation but also incarnating the Gospel in the lives of people. It is, as Bonhoeffer reminded us, a "costly discipleship." I believe that one of the most difficult challenges for evangelicals today is to test our understanding of the Great Commission against this teaching of Jesus. Our missionary activity falls short if we limit ourselves to calling for personal faith in Christ without pointing to the requirements of the kingdom. Yes, we can always escape to a convenient "altar call" and "pledge card" mentality and call it evangelization, but this is not the total message of the Scriptures and the vision of the all-embracing kingdom of God. I suspect the devil loves it when we preach a Gospel without discipleship, as is inevitable once we become preoccupied with "getting people saved." Following Christ means following Him in costly discipleship or it means nothing at all. This is the conclusion Eduard Schweitzer came to in his 400-page book The Good News According to Mark -- that "discipleship is the only form in which faith can exist" (p. 386). I am aware that I have brushed with broad strikes an infinitely deep subject. I just try to remember that my job is not just to talk about discipleship but to live it out by mimicking Jesus (Eph. 5:1-2) and doing the kingdom. Frankly, it's obvious to me that the evangelical church is not getting the job done, especially when American Christians spend 97 percent of their income on themselves (according to George Barna). Evangelism is not primarily about techniques, training, programs, or knowing more. It's about living out the Jesus paradigm by overflowing the life experienced in Jesus. 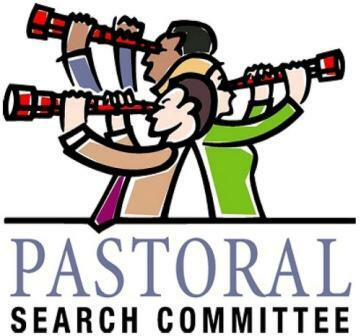 6:25 PM At a highly unlikely venue – the blog of a fulltime pastor – I find this cheerworthy treatise by Eric Carpenter: If Pastors Are So Important, Then Where Are All of Paul's Letters to Pastors? Group thinkers, watch out! 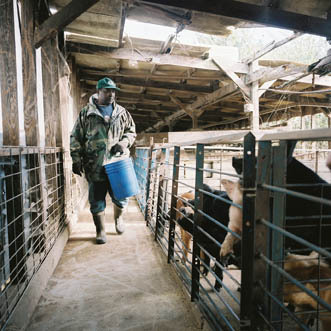 6:13 PM WUNC radio is running an up-close and personal documentary on farm life in America. The series is called 5 Farms. I've been listening to it during my commute to and from the seminary this week. Farmers are crazy people. Long hours. Hard work. Extreme unpredictability. Then you have the satisfaction of eating something you've grown yourself, and you realize it was worth all the trouble. In several ways, the American way of life is at cross purposes with the crucified life; American politics cannot contain Christian faith. For example, politics makes enemies; Christians love enemies. Americans are taught to preserve national and personal interests at all costs. Paul taught his converts to prefer the interests of others. American consumerism is built on the idea that we should always want more. Paul was content with more or less. In light of these stark contrasts, one cannot help but wonder: if we were to live the crucified life like Paul—losing our identity in Christ—would our neighbors be compelled to accuse us of foolishness for forsaking the American way of life? I myself have written a little something, a time or two, about how the cross and the flag are so closely aligned in our society that we don't know where the church begins and America ends. This is perhaps one of the most difficult aspects of discipleship that the American church has yet to think through. Pax Americana has always been dangerous, but now we're beginning to see its full potential for tyranny. By the way, I notice that Professor Reeves is currently working on a book for IVP about Paul entitled Imitate Me: The Gospel According to Paul. I anticipate it will be a very good read. 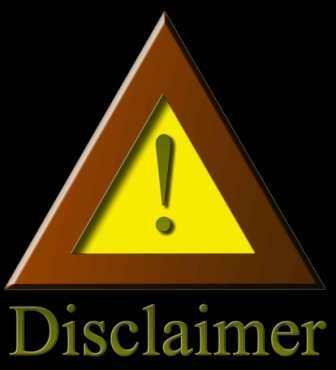 5:45 PM Steve Scott writes the ultimate blogroll disclaimer. Thought you might find it curious to know that your site is blocked from my employer. What an HONOR! To be singled out and banned from view because of religious views certainly is telling, no? Your request was denied because of its content categorization: "Religion;Personal Pages;Religion/Ideology"
I can visit all the gay, lesbian, bisexual and transgender pages that I want (not that I am... ha! ), but dare not visit the web site of a Southern Baptist Theology Professor. NO WAY! Anyway, hope you are well. Be encouraged. I continue to follow and appreciate your ministry. 8:16 PM I want to say a word about The Jesus Paradigm. Some reviewers have implied that it makes too much of politics for a book only about discipleship. Actually, the book is ALL about politics. I insist that politics is never enough and that the human problem is insoluble unless it be attacked on all fronts -- the spiritual as well as the political and the economic -- the whole point of the book being that the problem is too complex to be solved by political reforms. If you feel that something can be done along political lines and that it would be worth doing, that's fine with me. But, alas, in view of what politicians and the voting public are like, hope must be mingled with a great deal of doubt. It seems to me that if we are to have better politics, we must also have a better philosophy. And the only philosophy I think worth defending is the ultimate anti-philosophy, radical Christianity. The hope of the world lies in people getting disgusted enough with politics to take the teachings of Jesus seriously and to begin serving their communities with Calvary-love. 8:08 PM Oh, how I love Marcel Dupré! His Cortège et Litanie is the work of a mind of extraordinary power and depth. Thank God for such great composers and such great music. 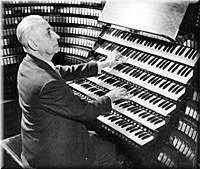 The organ will be in heaven. Trust me. 7:45 PM We are having a spell of dry weather, just as we did all last summer. The fields are getting parched. But God knows our needs, and all will be well in the end. 6:57 PM I just finished re-reading James Bovard's A Pretext for War. I read it with feelings of pleasure and pain -- pain that it should have been necessary to write such a book in the first place, and pleasure because of the excellence of the writing. The really sad thing is that the book could be easily expanded to 50 volumes. It is really enough to make one cry. Let's hope we may see the end of horror in Central Asia -- and at not too frightful a cost in lives. Meanwhile I've been re-reading Jacque Ellul. What a really wonderful writer he is, when he is at his best. 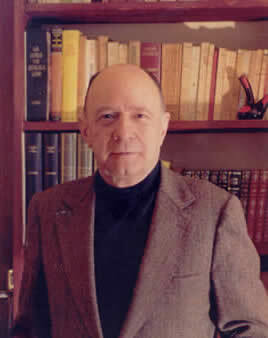 It is sadly typical of our educational system that we read all the second rate pontifications of American theologians but that one of the great masters of philosophical theology is passed over in silence, so that even well-read people have never done more than glance atThe Presence of the Kingdom or The Subversion of Christianity, books which, of course, I cite in The Jesus Paradigm. 6:23 PM I'm thinking a good deal these days about the lectures I'm supposed to give in the course of the fall semester on the theology of the New Testament. I wish I had more time to put my thoughts together, as there is so much I don't know enough about. Some parts of the New Testament -- so immeasurably important! -- I've studied so little (the little book of Jude, for instance). I have a real emotional horror of analyzing the text superficially. The danger is a real one because my knowledge at present is so ludicrously small. Maybe I should just concentrate on themes about which I've written -- Paul's theology of weakness, for example. After all, I wrote an entire doctoral dissertation on the subject! The fact is, I am perfectly ignorant of a great many essential themes of New Testament theology. I've read all the volumes of Barth's Church Dogmatics only to realize that even he was barely scratching the surface. I really believe there's no hope of thinking rationally about any of the major issues of the Jesus way of life until I not only understand them but, to a degree, have put them into daily practice. Now I know why almost every great religious leader has been profoundly pessimistic about their own abilities. I know this seems a dismal conclusion, but it's where I'm at folks. 5:55 PM Just back from walking the dogs. Feel like a new man. 5:12 PM B's making chicken enchiladas for supper. Que bueno! 5:08 PM When I read Lionel Wood's latest essay about pastors and salaries, I thought about the lack of seriousness with which we take Paul's words in Acts 20. My mind went to the picture of Jesus in Revelation 3 standing outside the closed door of the church. It is interesting that Lionel should talk of a crisis of leadership in our churches. The crisis is much larger than that. The Gospel itself has lost much of its meaning. I cannot help wondering whether the crisis about a professionalized clergy does not go deeper than money and have to do with our (yes, I include myself!) refusal to join Jesus in His religious ghetto. The Jesus who is present today in the world is not some mystical figure removed from the reality of our daily lives. The Jesus who stands at the door of my church and yours comes to us as a Servant introducing a whole new way of life marked by downward mobility, and not as one who fights for "rights" and "privileges." He comes to serve, not to be served. 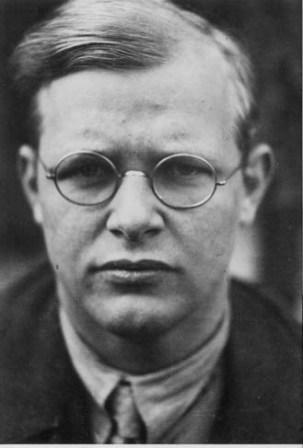 As Bonhoeffer put it in a now famous statement, "God is weak and powerless in the world, and that is exactly the way, the only way, in which he can be with us and help us." This is the same Bonhoeffer who left the comfort and security of America behind to share the fate of His fellow Jesus followers in Nazi Germany. Jesus dares to challenge His followers to engage in a way of living that can only be described as plain foolishness by the world's standards. I simply do not find, in the Jesus of the Gospels, the "company man" who negotiates his salary and then packs up and moves when higher wages and better living conditions are offered. Whether or not Lionel is right in his analysis of our plight, it is not the business of the followers of Jesus to support money-seeking leaders who masquerade as innocent doves. 2:32 PM Afternoon, blogging buds! I'm home again after being on campus. Great to be back on the farm. The farms between here and Wake Forest look so beautiful. Lots of corn and 'bacca. How a farmer can be an atheist is beyond me. As you know, I've been going through the Gospel of Mark in Greek with a group of fantastic students. Every assignment they do, I do, including fresh translations from Greek to English. Again, Jesus' emotions astound me. For example, our passage in class yesterday contained this strong statement: "When Jesus saw this, he became furious and told them, 'Let the little children come to me, and stop keeping them away! For the kingdom of God belongs to children like these'" (Mark 10:14). The Greek verb translated "became furious" isaganakteo. The word even sounds angry! Now I'm fully aware of what the New Testament teaches about anger. It may be (and often is) sinful; it often results in bitterness; and it often allows Satan to accomplish his purposes in our lives. That's what Paul says in Eph. 4:26-27. Yet in the very same passage he tells us, commands us in fact, to "Be angry!" -- a verb, by the way, that is in the present imperative, implying habitual action. At the very least, this has to mean that there are things in life we should get angry about. That makes good sense, given the kind of world we live in. As it turns out, however, anger is always dangerous. It so often leads us into sin that 5 verses later Paul can say, "Therefore, put away all anger." James puts it this way: "Let everyone be quick to listen, slow to speak, and slow to get angry." But he doesn't rule out righteousanger. So by all means, go ahead and get angry -- if you can avoid sinful anger. But be very careful in terms of what you get angry about. Notice: in Mark, Jesus got angry at His own disciples. Why? Because they were WRONG. Wrong about children. Wrong about the parents who had brought their children to Jesus. Wrong about the kingdom. Wrong, in fact, about Jesus. Folks, as I see it, as citizens of the kingdom of heaven our job is not to try and "protect" Jesus from distractions. And we sure don't help the kingdom when we shuffle children off so that adults won't be "inconvenienced" or "distracted" by them. Boy, has our Christianity wandered from the New Testament faith. Rather than transforming the culture around us, the church has adopted the pedagogical philosophy of the world. Are we better off for it? I doubt it. My advice? Stop listening to the "experts" sitting behind their mahogany desks in their ivory towers. Get back to common sense parenting. Stop treating young people like babies. And let the little children come to Jesus. You say, "What can a 3-year old learn during the service?" How's this for starters: They can learn to sit still for an hour. They can learn to maintain eye contact with the speaker. They can listen to daddy pray and mommy sing. They can listen to the speaker and, when old enough, take notes. As a young man, Jesus sat "among the teachers, listening to them and asking them questions" (Luke 2:47). As I've documented in my book The Myth of Adolescence, Jesus must have been home-schooled, since the Yeshivas were not in existence until the end of the first century. Yet He had a remarkable familiarly with the sacred Scriptures of Israel, a fact proven by His constant use of Scripture in His teaching. Someone once said that Jesus lived His life in italics. Let me tell you, when you become serious about Jesus, He will begin to completely dismantle the status quo in your life. He will question your assumptions about children, money, priorities -- everything. He may even get a bit angry with you! In the meantime, I encourage all of us to cultivate the shockingly beautiful anger of Jesus. 5:25 PM Christianity is insanely impossible! That's what we saw today in Greek class as we translated Mark 9:14-29. That's why Jesus asks us to believe. "Anything is possible for the one who believes." Anything? Really? Jesus, I'm believing you right now for the impossible. I believe you will provide water for the Burji clinic. What else can we do? We've already installed the plumbing -- by faith. We've tried every means possible of digging the well -- by faith. 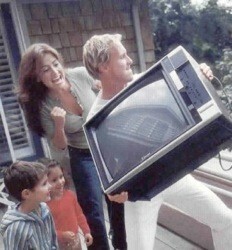 I am as helpless as that boy's father. "Lord, I do believe. Help my unbelief!" My humble observation—not as a researcher, but merely as someone who has experienced a traditional youth group firsthand and one who has worked with several different groups over the last few years—is that many youth abandon the local church after graduation for one simple reason: failure to understand the gospel and relevance of Scripture as a whole. Andy is, of course, absolutely correct, and I strongly urge you to read his entire essay. 4:30 PM The Robespierres of culture will not want you to peek at Dusty Chris's comments on religious snobbery. Along the same lines, Arthur Sido commends denominationalism, with tongue firmly planted in cheek. My, this is good blogging. 4:27 PM If you're thinking about chucking TV, as I did years did ago, this outstanding post by Eric Carpenter is for you. Micah's comment is also a winner. I normally have very low expectations for popular revolts, but it looks like this one isn't going to slow down any time soon. 4:22 PM The Twittering church comes to Manhattan. My only question is: When will students begin twittering during class? What?! They already are? 4:20 PM Fuller Seminary's Richard Mouw contemplates Spelling Bees. 4:14 PM Just back from campus. Greek class at the Hill tonight. Big quiz over chapter 13 and then a take-home exam over 12-13. I'm so nervous! 12:47 PM Alan Knox hits it out of the ballpark again. I devoted a whole section in my new book to this verse! 12:42 PM Sunday shout out to Woody and Lendon. Can't wait for baling to start up again, guys! And to Chris -- hurry back from the beach, man. We missed you today! 12:38 PM Seems that Becky and I are often the last ones to leave church on Sunday. So much catching up to do! But the real reason I posted this photo was so that you could see B's new dress. She finished sewing it yesterday. I love it! 8:05 AM It'll be good to get back to Bethel Hill today. Becky and I will be on the road for several weeks starting next Sunday. We always miss our home fellowship when we're gone. I love my Sunday School class. We're in Philemon. Good stuff, I tell you. Convicting too. I guess that's how all good teaching should be. Can you tell I'm still jazzed about finishing the barn? Thirty years after Peter's Great Denial, he wrote his First Epistle. God takes time with us! Despite our limitations, our failures, our difficulties, He is up to something good. Elias Canetti once said, "He would like to start from scratch. Where is scratch?" "Scratch" is where you are RIGHT NOW. As sure as God allowed us to complete the barn project, He is willing and able to complete the work He has begun in you. 6:45 AM Greek student, have you arrived at Heartbreak Hill yet? You know, the Boston Marathon's infamous make-it or break-it point? It's about two-thirds of the way into the 26-mile race. It's a slow, torturous climb through the streets of Newton, Massachusetts. It's where the best athletes break away from the pack, overcome fatigue, and stride to the finish line. I've seen it so often in my 33 years of teaching -- students who are running along smoothly until they hit THE HILL. There they lose the necessary passion and energy to make it through the more challenging periods to come. My purpose today is not to criticize you if you've reached that point. I know from my own experience what it feels like to be exhausted and ready to quit as you plod along. But some things are worth the effort! Weariness, my friend, is something to be EXPECTED. It is absolutely normal. Every runner experiences it. Every student experiences it. But it is PASSION that will keep you in the race. You can't invest in anything of eternal value without spiritual energy going out of you. Then, being drained, you begin to experience self-doubt. "I've made a fool of myself! I've GOT to quit." At that point, if you do not "hope against hope," you're a goner, believe me. Don't be surprised when the drained condition hits you. 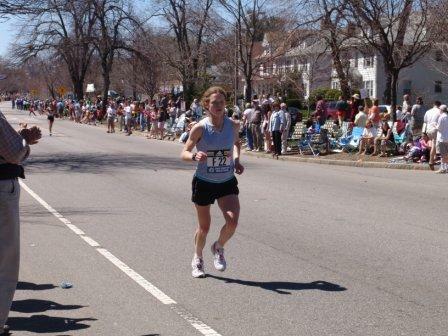 The expert runners at Heartbreak Hill know from experience that if they can make it through that psychic wall, they can make it to the end of the race. So I say to you: keep plugging away! Then you will learn the secrets of God's power and glory, the reality of His steadfast love, the extension of His mighty hand of guidance and endurance. Keep on attending, keep on memorizing, keep on translating, keep on keeping on! Believe me, I understand your pain. After all, I'm the one inflicting it. LOL! Seriously, I am committed to your success and am always willing to help. May I emphasize that I am also praying for you, because I know that without God's help none of us can learn this challenging language. To His care, then, I prayerfully commit you. Onward and upward! Ain't she sweet? Neo-redneck, what's we call it. Know what else us'un rednecks do on a holiday? We bush hog. Now don't you be telling me yall don't know what bush hoggin' is. You city folk don't know nuthin! We also park the hay in the car shed and the car in the driveway, in case it rains. We pick all the vegetables we can. Food Lion just don't cut it for us. I'd like to tell yall more, but I gotta run. 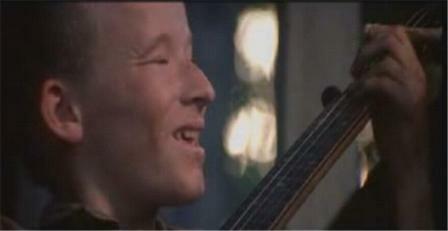 I hear the neighbors playin' Duelin' Banjos! 9:55 AM This great quote comes the blog of one of the elders at Bethel Hill. Joel, you hit the nail on the head! When our churches spend as much time praying for the Lord to call and send forth laborers as they do for physical healing and financial blessing, etc. then we would experience a great uprising in the church of willing souls to enter the field for the glory of God. Joel and Kimberly, we love you guys! 9:21 AM Special friends are part and parcel of what makes ministry so peasant. The apostle Paul cultivated special friends. He knew them intimately, and he frequently commended them for their contribution to the kingdom. Becky and I have friends like this in Jon and Matthea Glass. 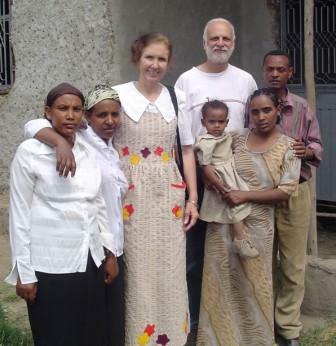 They are part of a very special cadre of friends who have ministered sacrificially for the Lord in Ethiopia. Jon was a special teammate last year, and Matthea served just as meaningfully by staying at home, watching the kids, and holding the ropes. If anything, Jon is an affirmer. This is obvious in his latest blog post. You can spot his kind a mile away. They are always asking questions about the work you're doing, the trips you'll be taking, the challenges you're facing. They make great intercessors too. "A Christian fellowship lives and exists by the intercession of its members for one another or it collapses," wrote Bonhoeffer. Thanks, Jon, for caring, praying, and informing. We're privileged to call you our friend! 8:21 AM Can you believe it? Becky has already started picking blueberries! 8:15 AM Would you like to take a peek at Matthew McDill's doctoral dissertation? Well, you can't -- except for its conclusion, which is well worth reading. 7:34 AM Our project du jour? Finish the hay barn. It ain't done yet! Gotta be quick too. Bad weather is on its way. 7:30 AM Hey, fellow missionaries! Becky has just published a superb report on the health clinic in Burji. I know, you may be thinking, "Yet another report on Ethiopia?" Sometimes our minds filter out missionary reports like we filter out the junk mail we get every morning. Need I say that I often do the same thing? But if you want to actually visualizewhat is going on in this fantastic clinic in the middle of Nowhere, you've got to give Becky's post a read (it's chock full of pix). The work there is bone-tiring. God is constantly pushing us to be and do our best for Him in Burji. I tell you, missions is God's antidote to apathy! He's not about making us feel guilty. But He does want us to keep informed. 7:05 AM Speaking of books, all of my valuable time this past week was taken up by reading the various New Testament theologies that are out there in preparation for my fall class on the subject. 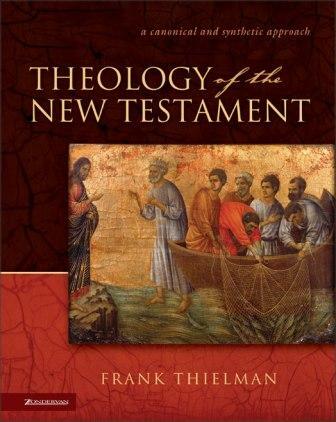 I've decided to require Frank Thielman's Theology of the New Testament. Thielman is very readable and interesting, and he takes a canonical (rather than a systematic) approach. The focus on the cross is wonderful, and at 800 pages the book is a veritable mine of information. Thankfully the author refuses to be dull or boring. If you've never read this book (or any book on New Testament theology for that matter), I strongly urge you to do so. The New Testament is so wonderful, so full of surprises, so deep and wide and profound that you can never wrap your mind around it -- and that's just for starters! Good stuff, I tell you. It'll be a small class (yeah! ), so I'll get to treat it more like a graduate seminar than a typical class -- which means high class participation. Now I'm on to reading a couple of more New Testament theologies -- actually one in particular, the Gospel of Mark! 6:48 AM Good morning, blogging buddies! My publisher and I have been in the final throes of readying "J.P." for press. (Yes, it's my latest book, and since I am the daddy I get to give the baby a nickname!). I've tried to establish that, according to the New Testament, followers of Jesus have to seriously question how much confidence we should place in manmade Towers of Babel to fix problems that only the cross can handle. If saying that won't get you in trouble today, I don't know what will! To follow Jesus is to revolt against everything in our lives that is inconsistent with the rule of God! I tell you, it's been a blast working on this project. One of the greatest blessings for me has been working with my latest publisher/editor, Henry Neufeld of Energion Publications, a relatively small publishing company in Pensacola, Florida. I heard about Henry through a good friend of mine who has now published three books with Energion and said, "Why not give it a try?" Glad I did! I have never worked with a publisher who was more committed to making an actual difference in the way Christians think and act. We both agree that the church is broken and desperately needs fixing -- AND that the "solution" to the problem is NOT to be found in any of OUR programs, technologies, or even books, but only in following Jesus in radical obedience. The thing I like most about Henry is that he is amazingly easy to work with. He's extremely techno-savvy and as efficient as all get out. Above all, he's as much traveling the downward path of Jesus as I ever will be. How beautiful it would be if all Christian publishers lived and acted like that! At any rate, the book is scheduled to be released later this month. Over 60 people requested preview copies, and the positive reviews/blurbs keep pouring in. If you share our vision of the kingdom, will you join us in praying that God will use this book to wake up the church in America in a powerful way so that we Christians will no longer let anything --patriotism, denominationalism, Calvinism, whatever -- co-opt our allegiance to Jesus and our commitment to sharing His Calvary-love with others, even our enemies? 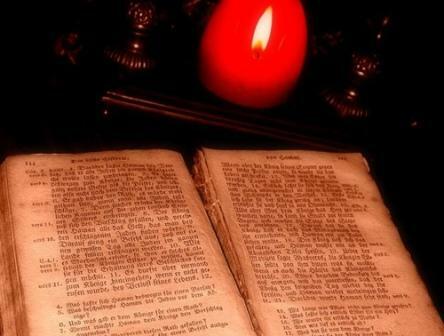 5:24 PM Chad Thornhill has published a post about the Humility of Augustine. Well done, Chad. The true Christian is a rebel against this age, but she or he doesn't need to be prideful about it! By 2007, more than half of Amish men in these parts were working full time in manufacturing, and earning, on average, $30 an hour, says Steven Nolt, a professor at Goshen College in Goshen, Ind., who studies the community. 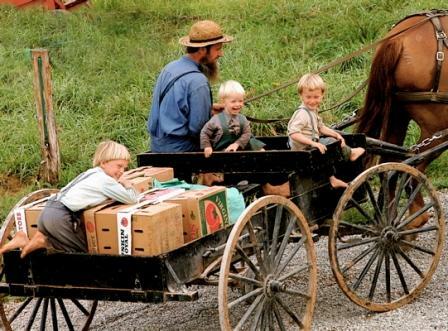 The great increase in discretionary income spawned a "keeping-up-with-the-Joneses mentality," says Mervin Lehman, 39, an Amish father of four who says he was making more than $50-an-hour and working up to 60 hours a week as an RV plant supervisor before he was laid off in November. "We were all going way too fast," Freeman Miller says. "This has made everybody stop and realize we're just pilgrims here, the Almighty is in charge." Needless to say, I think there's a lot of truth in what Miller says. Here at Rosewood Farm I am so jazzed to be working alongside a young man (and his young wife and baby) who have blended the serpent's wisdom with the harmlessness of a dove, who know the difference between the price and the value of something, and who are trying to minimize the impact of materialism in their lives. It's a joy to invest in the future of young people like that! I encourage all of us to cultivate this attitude of indifference toward material things. In a capitalistic society this will be one of the hardest things we can do in life. It directly confronts our pleasure-prone flesh. The beauty of Christianity is that when we truly follow Jesus and His kingdom ethics, nothing else matters in life quite as much as living for Him and serving Him. "Things" now belong to Him, and we gladly reevaluate how we can best steward what is His. I'm trying to remind myself these days that the real owner of my life and my energy and my talents and my possessions is not me but the Lord Jesus. I challenge you to do the same thing. 5:07 PM I see that Becky has been blogging up a storm over at the Bethel Hill site. Warning: She even mentions her Greek professor in one of her posts. (I think she has a crush on him.) I really loved what she said about plants, and fruit, and the devil, and – well, you'll just have to read it for yourself. Good stuff, honey. Keep it coming! 4:45 PM Hey friends! Thanks for blogging in. Just finished my first (of two) weeks teaching the great Gospel of Mark. It's been hugely challenging! Not the students, mind you. They've been superb. But the Jesus you find in this Gospel -- He is so radical, so pure, so holy, so loving, so powerful, so KINGLY! Scripture that is imbued with this kind of power cannot be passively received. Or can it? The message of Mark, as Leon Morris has shown in his New Testament Theology, is that the true identity of Jesus is a suffering, enemy-loving Messiah. Will that be your focus this Fourth of July weekend? Or mine? I cannot agree with those who insist that this Jesus, that this life and this teacher, are the standard only for personal ethics but not for social ethics. Jesus turns upside down every vision of life that puts God in a nationalistic box. Christianity requires our pledge of allegiance. If we were to translate "Jesus is Lord" into our modern day parlance we would say "Jesus is President." He is our Leader, our Sovereign, our Ruler, our Master. The beginnings of a new community slowly emerge from the rubble of humanity. It is a revolutionary, Christ-centered, martyr community that pours Christ's love into the wounds of its own enemies. I tell you, God loves the Osama bin Ladens of this world and the Saddam Husseins of this world and the Sauls of Tarsus of this world. And so must I. This is the message of the Gospel of Mark, because it is the message of Jesus. The question is: Will I "bear the cross of Christ"? -- which today means, more than ever, cultural nonconformity. 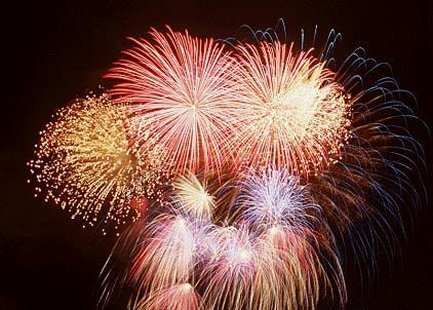 I hope you have a great Fourth of July. But let's make sure Jesus is number one in all of our celebrations. 5:07 AM My blog is a way to still the waters in my life. I write simply what comes to me -- feelings, thoughts, dreams, sensations -- as they flash across the screen of my mind. I sometimes have the strong motivation to write about what I find troubling, or about fears I cannot shake. In a sense, my blog is an exercise in self-discovery -- what really moves me, what I'm really feeling, what I'm really thinking about. God has so wondrously made us with the ability to be aware of what captures our hearts and minds. Sometimes our thoughts take us down false trails or lead to cul-de-sacs. Yet even our "dead ends" have something to teach us, do they not? After several years of blogging I often look back at my previous posts with great surprise: Did I write that? Blogging, I've discovered, can be an excellent tool for growth. It can help us cultivate the power of writing. Celucien Joseph gives us some hints of what he likes to see in a blog, and I am surprised and humbled to have been included in his discussion. Of course, I can't claim to be completely objective about what I write, nor can any blogger really. We tell things in such a way that reflect us in a favorable light. A blog is not quite the same thing as a private diary or journal. You do not encroach upon my privacy by reading my blog as you would if ever you got hold of my private journal. I reckon my goal in blogging is what Paul described in 1 Cor. 14:3 as the goal of all prophesying: encouragement, comfort, upbuilding. To these types of blogs I am greatly attracted, as I think Celucien is. Share your personal thoughts and relationships with me and I will be your biggest fan. Wax elephant only about Greek verbs and I am inclined to pick up a grammar. If you are a follower of Jesus, you will do well if from time to time you tell us what the Gospel has to say to you. Many of us have been striving (sometimes in the flesh, I fear) to do just that. But it makes blogging all the more worthwhile, I think. Bottom line: if you blog, keep it up. But do it well, and do it often. 8:08 PM The first time I visited the historic city of Trier in Germany I noticed a clock on one of its churches. The church stood in the central square. It was the hub of life. Near the clock were written these words (in Latin): "For you know not the day or the hour when the Son of Man will return." I said to myself: "What a great reminder that Jesus could come at any moment!" Every time you looked at the clock you were reminded of that fact. Is this why I feel such a sense of urgency in my life? "The time is short," wrote Paul. More and more I am learning to reject the meaningless, stultifying work of life. My mind wanders along these paths because I continue to find my spirit fed and enlarged by the writings of men and women who think only of living for the kingdom. I am a pilgrim on this earth in need of focusing on my heavenly citizenship. I am heading toward the promised land, conquering my inner pharaohs, establishing in my own heart the Lordship of Christ. I know not the day or the hour, but it may be soon. God help me to be faithful until the end! 7:53 PM Our passage in Mark today -- chapter 3 -- was a work of art, as is all of Scripture. I especially noted Jesus' emotions -- anger, sympathy, brokenheartedness. Men today are beginning to embrace the full range of emotions -- fears, tender feelings, embraces, tears. 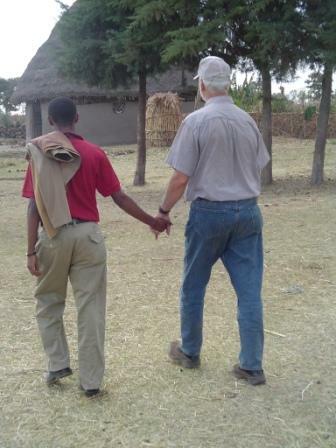 In Ethiopia, as I mentioned in class today, men even hold hands with each other. I found the same thing to be true in India. God is interested in the whole person, including our emotions and feelings. The danger is ignoring our under-developed sides. My mind is captured by Jesus. What a man -- in the deepest sense of the word. How I want to love others like He did! WHEATON COLLEGE (IL) seeks candidates for the Wessner Chair of Biblical Studies. This endowed position is a full time, tenure-track appointment to begin in August 2010. The successful candidate will have a Ph.D., evidence of outstanding teaching, and a distinguished record of research and scholarship in New Testament studies. The position involves mentoring doctoral students, teaching doctoral seminars and playing a leading role in the master's program in biblical exegesis. Teaching load involves 12 semester hours per year. This looks like an excellent opportunity. For more information, go here. 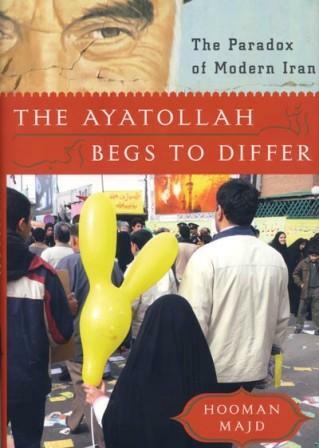 6:45 PM Bruce Ashford reviews The Ayatollah Begs to Differ. I have read many books about Iran and agree with Bruce that "The Ayatollah Begs to Differ is … the best introduction to Iran on the market." You can check out DealOz for great book bargains.